This week, Rohit of GamersPlane shares his experience crafting a dedicated play-by-post space online, and how these games are different and often advantageous to their in-person counterparts. PbP games are a unique experience, and we take a look at how that happens. 12. Beautiful Senshi Hearts, Make UP! This week we’re basically a Sailor Moon fan podcast, thanks to the creative team behind Beautiful Senshi Hearts, a magical girl spin on Monster Hearts. Josh Kronegold, Anne Ratchat, and James (JC) Holder talk about their game and the magical girl genre. Special guest Lisa Padol. Studio Manager for Ulisses North America and RPG veteran Tim Brown gives us a look at what it takes to bring The Dark Eye (Das Schwarze Auge), one of the most popular German-language RPGs with a 30+ year history, to English audiences. How are German games different from English games, and what makes the new edition of The Dark Eye so special? Hannah Shaffer and Evan Rowland have hacked their own game! We talk about how Questlandia lead to Noirlandia, what constitutes a noir, and the perils of the banana industry. Warning: there’s a lot of giggling in this one. Mods! Magical girls! Misandry! This episode has it all. Anna Kreider shares her experiences pitching very different games about women to con-goers and what she’s learned in the process. 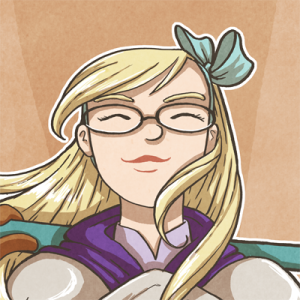 We discuss her games The Starlit Kingdom, Autonomy, and The Watch. 7. 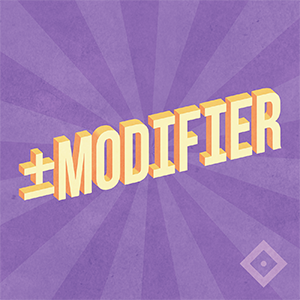 Modifier Gets A Lawyer! We’ve been threatening it for weeks, but we finally did it. Friend of the network and actual lawyer Priyanko “Pranks” Paul breaks down WotC’s OGL and answers your legal questions about using the license. Turns out, it’s way less scary than it looks! Monte Cook Games, fine purveyors of Numenera and The Strange, is in the middle of a Kickstarter to launch three new settings for their Cypher System. Senior designer and veteran game writer Bruce Cordell breaks down both the system and the Kickstarter, flawlessly alleviating Meghan’s page-count induced panic attack and completing her conversion to Cypher fangirl. Join us, won’t you? What’s the plural of “apocalypse”? Well, we didn’t figure that out. Sorry. Instead, PK tells us all about the game he’s crafting and the process so far as he aims to break our hearts with a pre-apocalyptic saga from which almost nothing can survive. Also, Star Wars! What’s the difference between a Laser Kitten and a Glitter Cat? Where does a kitten learn to cat? Why do their eyes glow, and what sorts of laser powers do cats even have? Cheyenne Wall-Grimes helps solve those mysteries and more through her new RPG in this purr-fect episode of Meowdifier! Er, Modifier.